If you have Neck Pain, knowing what is causing the problem and developing a well thought out plan of action versus medicating to mask symptoms would be important. It is equally important to not have continuous treatment for a neck problem, if it came on suddenly. Dr. Huntoon is here to fix it and get you beck to your life. There are seven vertebrae that are the bony building blocks of the spine in the neck (the cervical vertebrae) that surround the spinal cord and canal. Between these vertebrae are discs, and nearby pass the nerves of the neck. Within the neck, structures include the skin, neck muscles, arteries, veins, lymph glands, thyroid gland, parathyroid glands, esophagus, larynx, and trachea. Diseases or conditions that affect any of these tissues of the neck can lead to neck pain. arm numbness or tingling (upper extremity paresthesias). These associated symptoms are often a result of nerves becoming pinched in the neck. For example, if compressing the nerve of sensation to the back of the head, which comes out of the neck, will cause headaches in the back of the head. Depending on the condition, sometimes neck pain is accompanied by upper back and/or lower back pain, as is common in inflammation of the spine from ankylosing spondylitis. virus infection of the throat, leading to lymph gland swelling and neck pain. meningitis (often accompanied by neck stiffness). Neck pain can also come from mental and emotional concerns related to over-thinking about one’s life and their problems and not doing what is necessary to resolve the problems causing one to over-think. Neck pain is also referred to as cervical pain. Prevention of neck pain in the context of these activities should include a visit to your Holistic Chiropractor to restore proper alignment of your spine as well as neck strengthening exercises. In diagnosing the cause of neck pain, it is important to review the history of the symptoms. Any past injury to the neck and past treatments are noted. Aggravating and/or relieving positions or motions are also recorded. The neck is examined at rest and in motion. Tenderness is detected during palpation of the neck. An examination of the nervous system is performed to determine whether or not nerve involvement is present. nerve conduction velocity test (NCV). The ideal treatment starts with Chiropractic. This is the number one form of care for neck pain with the best results. Dr. Huntoon has over 27 years of experience in treating this condition. 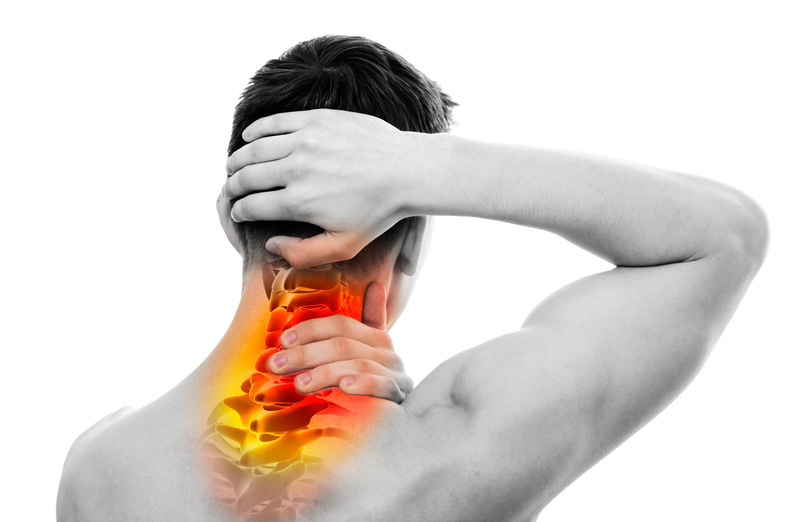 Addressing ALL the components that go into creating the neck pain would be important. He has found that this form of care fully addresses the concern and prevents it from coming back. I come to Dr. Huntoon because he has helped me in so many ways other Dr's have not been able to. I had a serious neck and back problem. After only a few visits my pain went away and while I was training for a marathon, I was able to ...More"I come to Dr. Huntoon because he has helped me in so many ways that other Dr's have not been able to. I had a serious neck and back problem. After only a few visits my pain went away and while I was training for a marathon, I was able to complete my training and finish the marathon and several more since. I highly recommend Dr. Huntoon. He understands the total body and works miracles!" Working with a Holistic Chiropractor will allow you to address all the underlying causes of your neck pain and help you develop a life-style that will prevent this from returning or knowing what to do if it does. People have also had favorable results using Acupuncture. Alternative treatments have been used for chronic neck pain and are the most effective form of treatment. This includes chiropractic, massage, and acupuncture. Consulting with a Holistic Chiropractor who can help you develop a well-rounded, multifaceted approach to understanding all the contributing factors for your neck pain is warranted. Failure to do so may result in your condition becoming chronic and may lead to permanent pain. There are many treatment options, depending on the particular neck problem and past treatment experiences. hot pads can be very beneficial for relief of some forms of neck pain. Developing a healthy life-style with proper guidance from your Holistic Chiropractor is the best prevention when considering how to approach your neck pain and your health.